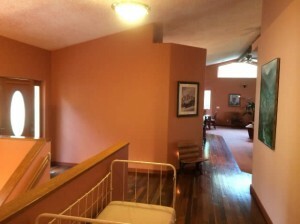 5 Star Painting is the name people count on for high quality interior painting in Vancouver, WA. One coat is never enough! At 5 Star Painting we always apply at least two coats on every interior paint service. Our high quality Sherwin-Williams paint is guaranteed to last. All our interior painting comes with a one-year warranty, but will doubtlessly last much longer. Not only that, we also use only eco-friendly, environmentally sound paint that is low VOC. There is a reason Vancouver, WA and surrounding area have been so thrilled with 5 Star Painting that they have happily referred their friends. We offer detailed quality throughout the entire interior painting process. From primer, to caulk, to paint, every home and business gets the highest value products and service. At 5 Star Paining our two-coat minimum, top-quality paint means you only see a smooth, streak-free surface of the color you select. In addition, we never fill in new caulk over bad caulk. Instead, we remove all old caulk that is deteriorating and replace it with Sherwin-Williams SherMax™ caulk that comes with a lifetime guarantee. We are thorough in taping and covering your windows and flooring to ensure that no paint goes where it is not wanted. 5 Star Painting specializes in both commercial interior painting and residential interior painting. You can count on our painting contractor for superior interior painting, no matter the size of the project. At 5 Star Paining we care about our customers. With 24 years of experience in interior house painting in Vancouver, WA and surrounding cities, we are part of the community. We never try to sell you on more than fits your budget and we never skimp on quality. Our family-owned, local business treats each project like it’s for the neighbor that you are. The owner is present on each and every interior painting project. As your Vancouver, WA neighbor, we strive to do great work you can be proud to show off in your home. Our attention to detail, top-quality paint, and affordable interior house painting has afforded us a reputation as the go-to interior house painting service in Vancouver, WA. The reviews we get really are five stars! 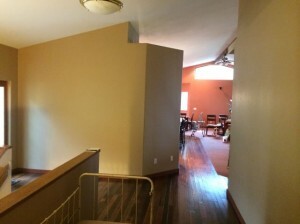 Contact us today for an estimate on your interior painting in Vancouver, WA or the surrounding cities. We also proudly offer: Pressure Washing and Exterior Painting.